Classical music concerts in a multi award-winning luxurious Lake District hideaway. We are looking forward to hosting a special weekend of concerts in February 2019, bringing together internationally acclaimed musicians from Germany and the UK, in a rich programme of chamber music. The award-winning Askham Hall is a 13th century stately home turned restaurant with rooms, close to Lake Ullswater. This year we will be hosting the concerts in Bank Barn, our beautiful 18th century oak-beamed barn on site at Askham Hall. This lovely building is excellently heated, benefits from a bar for drinks before the concerts and has great acoustics. 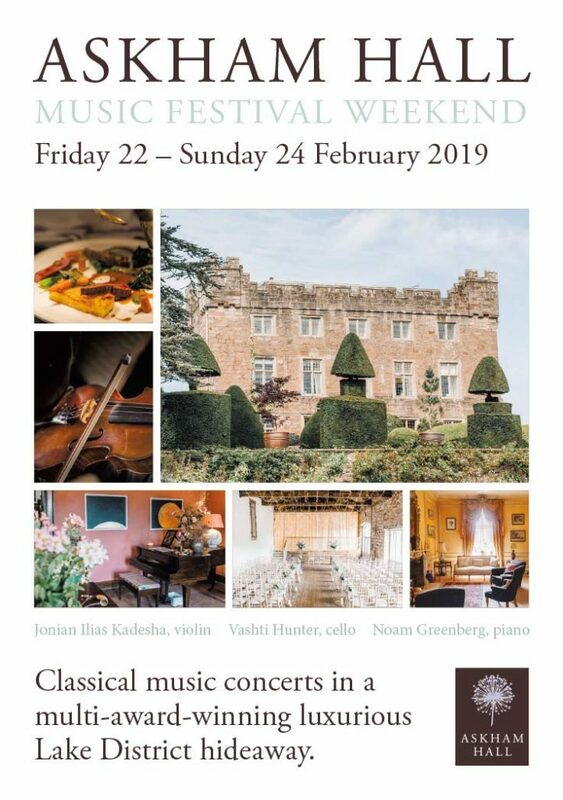 Following each concert there will be a special meal at Askham Hall, where Richard Swale will be running the show, using the best of Askham Hall’s produce. Concert tickets: £18 per concert, £45 for all 3. For dinner bookings please ring to enquire, limited availability.